I am an STFC Ernest Rutherford Fellow and Lecturer here at Cardiff University in the department of Physics and Astronomy. My research focuses on the evolution of galaxies, and how they assemble from the cosmic soup at high redshift to become the beautiful and diverse populations we see around us in the local universe. I specifically focus on the role of cold molecular gas in galaxy evolution, studying the molecular ISM in extragalactic environments, black holes, star-formation, kinematics and feedback. 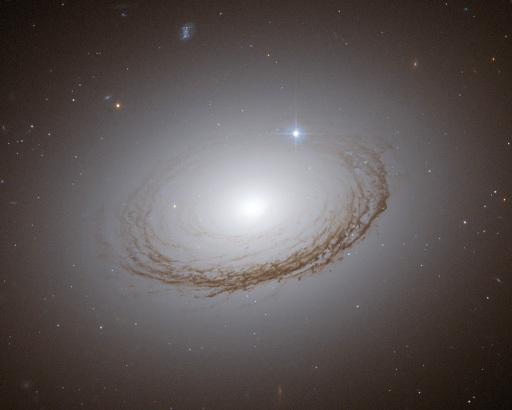 An example of the type of objects I study is the beautiful elliptical galaxy NGC7049, which is shown below in an image from the Hubble Space Telescope. Tremblay, G.et al. 2018. A galaxy-scale fountain of cold molecular gas pumped by a black hole. Astrophysical Journal 865, article number: 13. Tan, Q.et al. 2018. The MALATANG Survey: the Lgas-LIR correlation on sub-kiloparsec scale in six nearby star-forming galaxies as traced by HCN J=4-3 and HCO+ J=4-3. Astrophysical Journal, article number: AAS07399R2. I am module lead for "Synoptic Astrophysics". My research focuses on the molecular ISM in extragalactic environments, black holes, star-formation, kinematics and feedback. I am a PI of the mm-Wave Interferometric Survey of Dark Object Masses (WISDOM), the ALMA Fornax Cluster Survey (AlFoCS) and the ATLAS3D CARMA survey. I am a co-investigator in the CARS, HeFoCS and VIXENS surveys. James Dawson - "Machine learning to maximise the impact of ALMA"
Eve North - "Monsters in the Dark: Supermassive Black Hole Masses and Star formation in the WISDOM survey"
Nikki Zabel - "The ALMA Fornax Cluster Survey: How do dense environments drive galaxy evolution?"